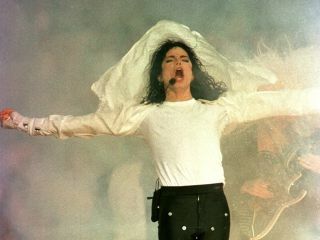 Michael Jackson, photographed during his Super Bowl halftime show in 1993. Michael Jackson's vault of unreleased material seems certain to be raided by his record company at some point in the not-to-distant future, but a snippet of one unheard song has already made it online. A 25-second snippet of A Place With No Name was posted by entertainment blog TMZ.com; the song bears a striking resemblance to America's 1972 hit A Horse With No Name. Indeed, America's manager Jim Morey told TMZ.com: "The band was honoured that Michael chose to do their song and they hope it becomes available for all Michael's fans to hear." It's currently unclear precisely when A Place With No Name was recorded, but a listen to the drums used on the song suggest that it may date from the mid to late '80s. You can listen to the song on TMZ.com.